On Monday, 2K announced that Puff Daddy, the Grammy Award-winning hip hop recording artist, producer and entrepreneur, will curate the in-game soundtrack for WWE 2K17. 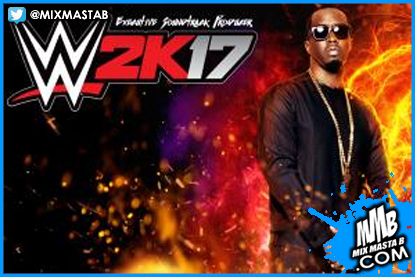 The choice means that Sean “Diddy” Combs will help set the gaming mood for WWE 2K17 by selecting 13 songs by well-known and emerging musical artists across multiple genres. This announcement marks the latest collaboration between Puff Daddy and WWE. He previously rocked the WWE Universe as the headlining musical act of WrestleMania 29 and as a featured Tribute to the Troops performer. He also partnered with WWE in multiple charitable endeavors, including as a Be A Star ambassador and a Superstars for Sandy Relief event co-host.